The National Highway Authority of India has sanctioned Rs. 27 crore to the state for undertaking repair and maintenance of national highways. The state has suffered huge losses during the monsoon. Many road were damaged badly due to the heavy rain. 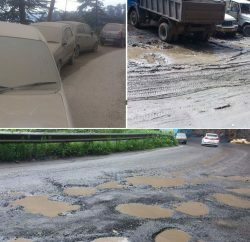 NH from Shimla to Chandigarh is full of potholes and giving nightmare to commuters. 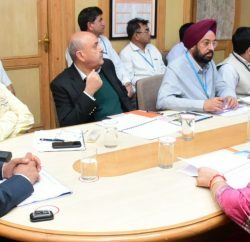 NH connecting other important cities of the state were also damaged badly due to the heavy monsoon rain. roads in Kangra district mainly surrounding Dharamshala are also damaged severely. Monsoon rain had submerged most part of the road from Manali to Kullu. The government of India has sanctioned Rs. 50 crore for Swan river channelisation project in Una district, State government spokesperson stated. Project is aimed to check soil erosion, reclaim land and facilitate the farmers of the district. Beside that the Union government has approved Rs. 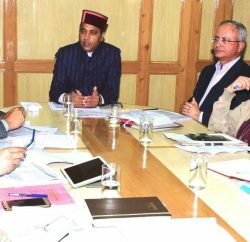 30 crore for sewerage treatment plant of Poanta Sahib in Sirmaur district.